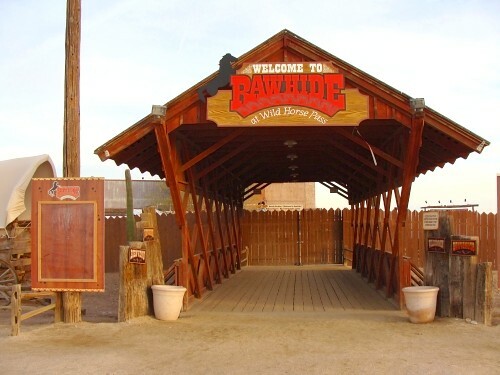 The Rawhide at Wild Horse Pass "Rawhide Express"
The original Rawhide, which was a landmark in north Scottsdale for nearly 35 years, closed its doors on Halloween 2005 as the land at that location just became too valuable to remain undeveloped. 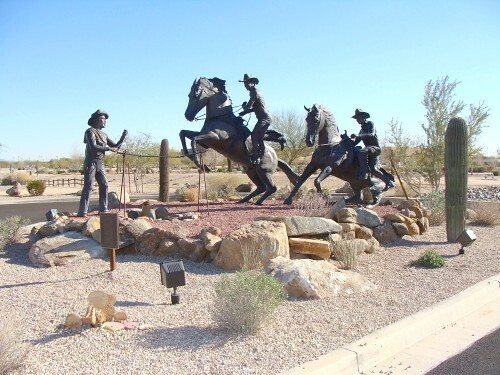 The western-themed attraction relocated to the Gila River Indian Community southwest of Chandler, Arizona where it reopened in 2006. 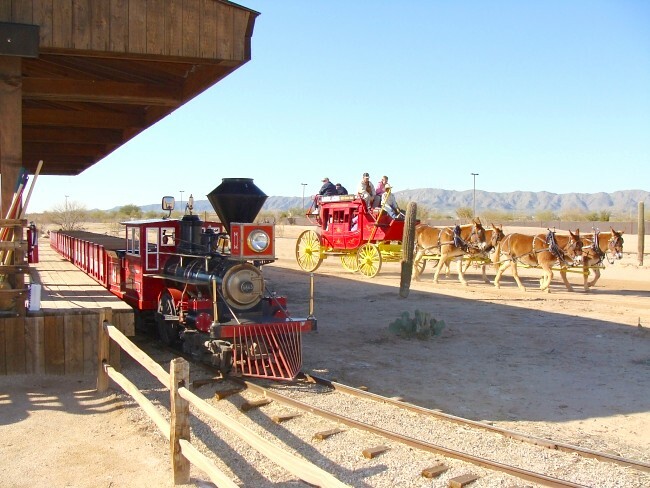 The stylized version of an 1880s “Old West” town features gunfights, burro and camel rides, hayrides, stagecoach rides, a petting zoo, gold panning, retail stores, steakhouse, saloon and our favorite - train rides. 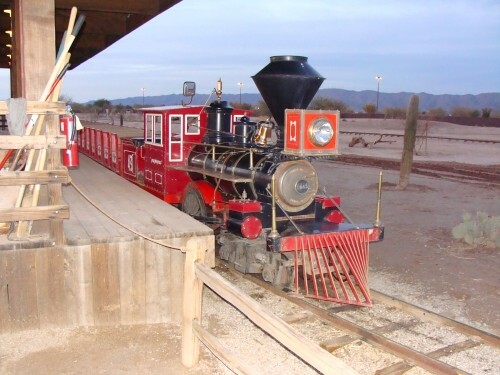 The train is the same red and black C.P. 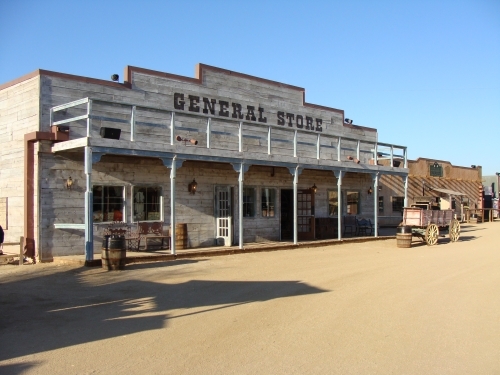 Huntington (No. 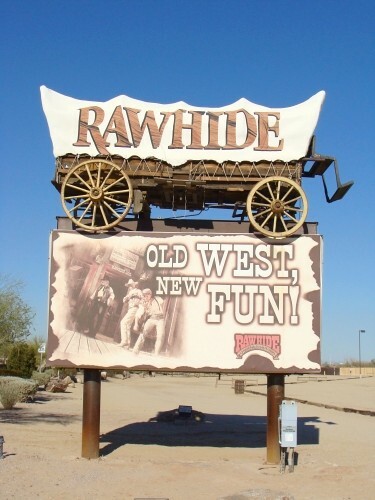 43) that operated for years at the original location. 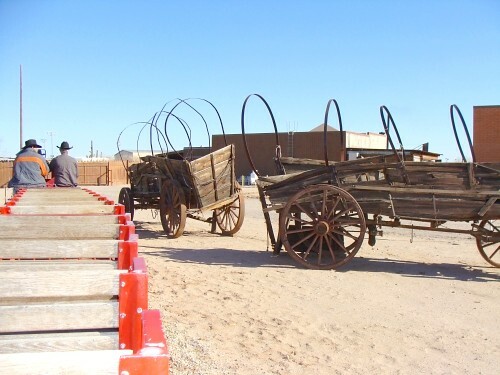 The engine usually pulls three passenger cars which are right hand load. 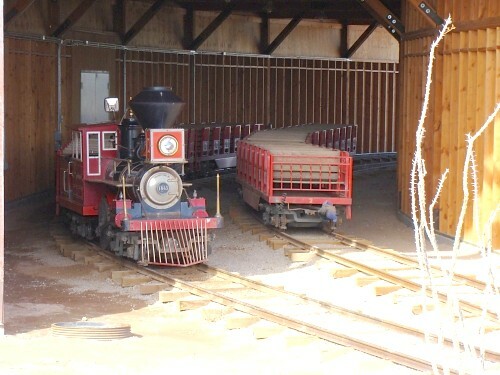 Three additional cars are stored on the side track in the tunnel and are available if needed. 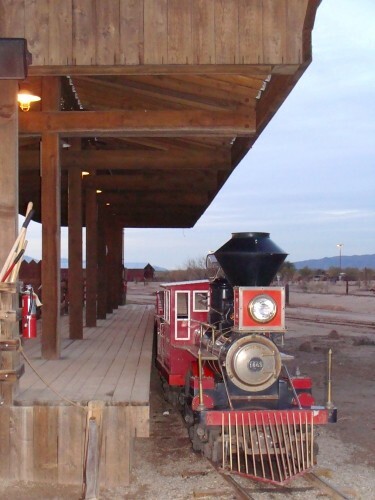 The train which was called the “Giant Express” at the original location for one of the corporate investors at the time has been renamed the “Rawhide Express”. 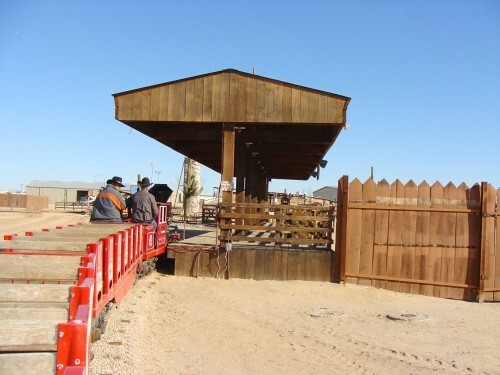 The train’s loading platform is at the far northeast end of town and requires a walk through town or a hayride through town to reach the loading area from the parking lot. 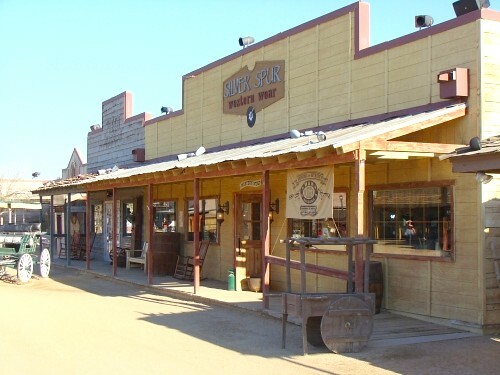 The buildings in this faux town are very well done and the lighting, period signs, wooden barrels and costumed actors all add to the well-crafted ambiance. 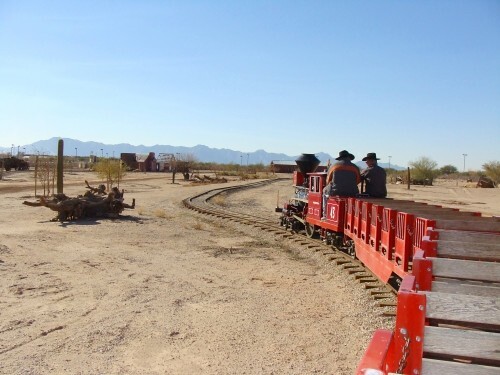 As with the original location, the train ride is approximately a one-half mile long single loop and lasts about five minutes. 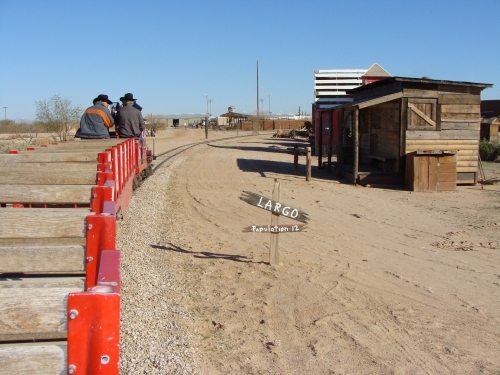 The entire route of the train ride is off limits to pedestrians so the only photographs easily obtained are at the loading platform or from the train itself. 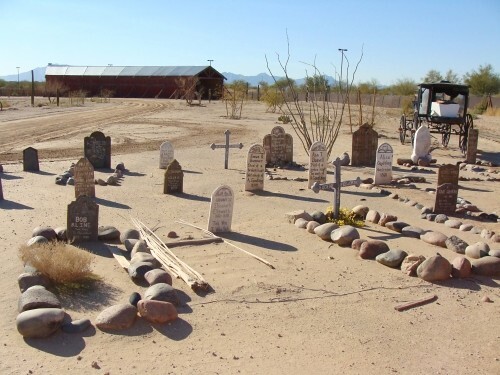 The ride offers a number of old buildings, a cemetery, old wagons and a large double track well-lighted tunnel. 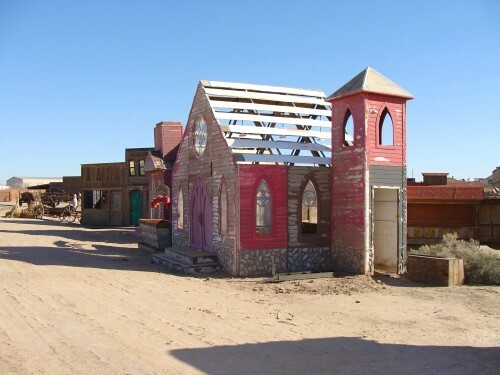 The scenery is not raw and pristine as at the original location, but some desert vegetation is in place and I was told more will be added in the future.